When was the last time you went to an arcade? Chances are you can’t even remember. As a child I went all the time, well whenever my parent’s would give me some money anyway. Teenage Mutant Ninja Turtles, X-Men, and the Simpsons were my favorite games, aside from ski ball of course. Arcades now reside in the world of nostalgia for many, as the home gaming consoles and Angry Birds have taken their place for today’s generation. 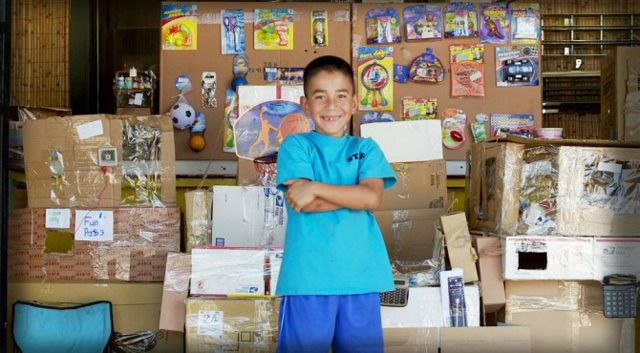 Today I ran across a great short documentary called Caine’s Arcade, a story about 9-year-old Caine Monroy from L.A. who founded his own arcade in his father’s auto parts story. Oh, did I mention its made out of cardboard. Directed by Nirvan Mullick, Caine’s Arcade is a touching story about the power of one young child’s imagination. Nirvan also happened to be Caine’s first customer. I could tell the whole story for you, but I encourage you to take 10 minutes and discover the joy of this film for yourself. If I still lived in California I’d be a frequent patron of this fine establishment, if only to be reminded of my own childhood days spent at the arcade. Like Cain’s Arcade on Facebook and be sure to support a Scholarship Fund that has been set up in his name!